First Christian Church - Enter from Stow St.
Summit-Up Cloggers formed in the fall of 2004. Some of us were former tap, square, and round dancers while most of us started out as beginning cloggers. Without any hesitation, we can all say that clog dancing has become a passion. For us, the beauty of clogging is the rhythm and soul of the Appalachians. The music has inspired thousands and even though we only number 10 to 12, we cherish each practice and opportunity to perform for the public. 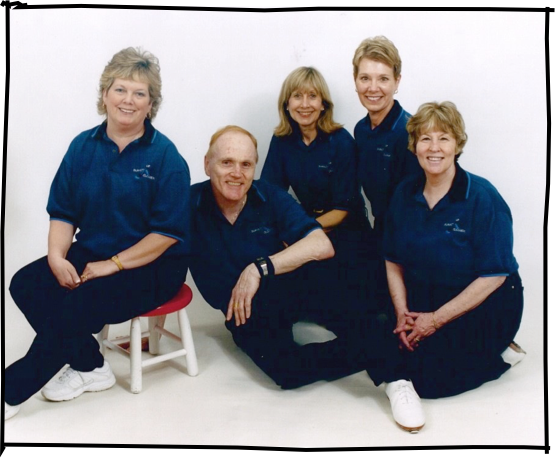 We especially enjoy performing for assisted living facilities, nursing homes, and rehabilitation centers. Festivals, fairs, and craft shows are other venues we enjoy. Look us up. Come see us. We perform all over Northeast Ohio. We are always open to new members.